A road traffic accident can be terrifying when it happens unexpectedly. You could be the safest driver in the world, but you have no control over what other people do. Sometimes, accidents happen, and they are not your fault. When you collide with another vehicle, though, it can make an impression on more than just your car. Getting back on the road after an accident is tough, and many people put it off because of fear. You should not let anything hold you back or stop you getting back behind the wheel. Read this advice and start the healing process right away. After you have had an accident, you might spend days recounting every detail of it. When people are in shock, they often try to rationalize things that they don’t understand. You might start thinking that if you had done thing differently, the accident would not have happened. You might start wondering if there was anything you could have done in those last few seconds that would have prevented it. Stop thinking like that because it is getting you nowhere. Instead, you need to focus on the future. There is nothing you can do to change the past. If you have medical problems after the accident, you might need to seek compensation from the other driver. Contact a specialist car accident lawyer and they will help you pursue legal action. You will need to prove that the accident was someone else’s fault. The more evidence you can provide, the better chance you have of winning your case. Gather as much information as possible before seeing a lawyer. If you need to cover hospital fees, this option might be the right course of action for you. If you feel afraid to get back behind the wheel, you need to take things slowly. First, you might want to get in a car as a passenger. When you have to face any fear, you need to do so in a step by step manner. There is no use trying to start driving again if you are not ready. Instead, you should watch someone else drive for a while. When you watch other people, it will help you to get your confidence back so that you are ready to drive. Before you take the plunge and start driving, you need to make sure that your car is safe. You should, of course, take your vehicle to a garage and let a mechanic check it over. There might be no exterior problems with your car, but you need to check whether there are any issues with it. You might think that there is no need to let an expert look at your car, but it is better to be safe than sorry. When you first start driving again, everything might feel a little strange. You need to start small so that you can gain confidence over time. Don’t attempt a long journey right away. Instead, try driving around your hometown for a while. 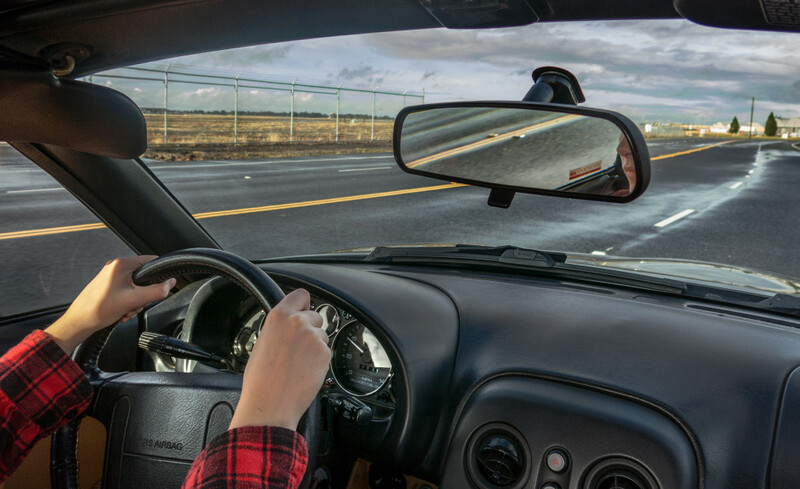 This step will give you a chance to get your bearings when it comes to driving. If you try to do too much too fast, you could find the entire experience terrifying. When you have an accident, you might feel as though you’re no longer the same person. You are. You have complete control over yourself and what you do next. You need to work on regaining your confidence and getting back on the road. It might be some time until you feel comfortable driving again, but it will be worth it.